I have about 40 pieces of tree limbs. They are 12 – 18” long and a foot or so in diameter. I made a saw buck and was going to cut 4 sides off to make them roughly rectangular. My thought was to save some storage room by making them smaller and to have less shaving and turning mess when roughing. Also, my lathe is only midi size if that and rocks with larger pieces. My band saw isn’t big enough to cut round circle chunks unless they are only about 4” in length so I want to use a chain saw and the sawbuck. Is this just a waste of time? Will it affect the drying process negatively? I seal the ends with paint or wax sealer. Please give any advice. Generally, you want to keep as much of the log as possible until you are ready to use it. You could cut some off and seal (Anchorseal, wax, latex paint, etc.) to reduce the chances of cracking and checking. You should also cut the pith out before you seal them. Cutting them into blocks is most likely going to leave the pith intact, which will lead to cracking. Just to be clear, limbs will have some “reaction” wood in them due to internal stress. They might not perform well depending on the amount of reaction. Taking bark off the limbs is also a good idea. Vicki, googled woodturners saw buck, not sure what you have already so if need to make adjustments hope see something that helps. You don’t mention wood species but may be dealing with compression wood if conifers or reaction wood if hard woods. Conifers limbs have compression wood on bottom of the bends or curve, straight may not contain any. Hard wood have reaction wood on top of bend or curve, might not find any in straight limbs. Talking about unstablewood grain at bend or curve, and will take on diamond shape as wood dries once cut square or rectangle. This wood may not always cut cleanly as you turn, sometimes it does with sharp tools. Sometimes will have trouble finishing other times not. So just go for it you won’t be dissappointed. I am big propent of end sealing with canning wax, but you might find Anchor or green wood sealer easier to use. Have mixed results with latex but if have enough give it a try. 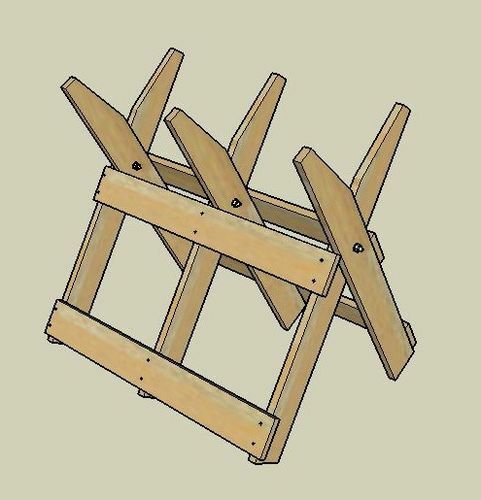 Need a place out of the weather, direct sunlight, and off the ground to store your wood until ready to turn. Reducing the size and rought turning will definitely speed up the drying process. Already mentioned about leaving little wider and longer than will need good advice. Have turned lot of reaction/compression wood and love it! 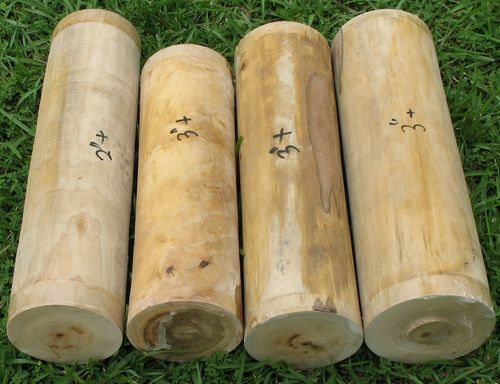 Besides reaction wood, limbs are prone to shake which is far more dangerous on a lathe. Make sure you remove the pith and discard. I like that photo. I have a lot of short logs that I have to cut up on my new bandsaw. What’s the size of the cutout on the pith on average? The pith may be way off center in reaction wood. If possible you still want to balance the growth rings to keep warping to a minimum; I use a center finder ruler (you can make your own). This pic is a pecan limb about 11” across the long way and 7” across the green line. The 1” push pin is the center of the pith. I cut on the green line then about 3/4” to the left of the green line. The short side (about 3” thick) had very tight grain and was used for a variety of projects. The wide section (about 8” thick) was used for bowls and the such. You could cut across the wide section instead to get two larger bowls but you will probably get a lot more cupping/warping on one side of the blank and may wind up with less wood in the end. Two kinds of shake woodturners will see are ring and wind shake. While both ring and wind shake caused by bateria. Ring shake caused by bacteria between growth rings and wood stinks. Wind shake is separation parrell to the rings not across it. Often see trees blown over after a tornato and will see slats. Shake often starts in the stem of the tree. There are couple of other named shakes too but have to be wood expert to ID and name them. Pith doesn’t also run straight up a log as already mentioned. If google pith in a tree kind of see what it looks like in base of a tree or end of a log. I don’t worry about the pith because can remove it and accompanying juvenile wood if present when processing logs. You can also leave it in like I did on couple pieces on my project page. 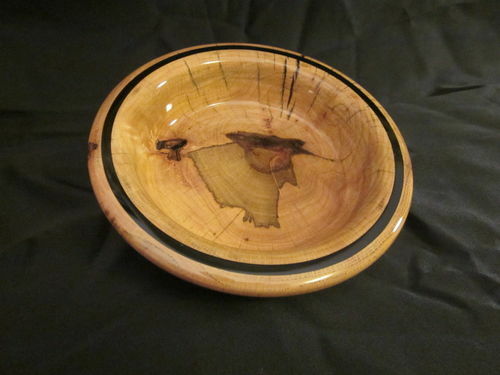 Have picture of juvenile wood in a deep pine bowl in one of my blogs. 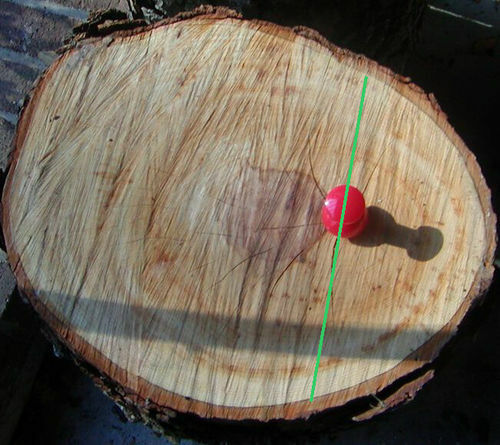 I look at diameter of a log to determine if going to remove the pith or not when processing them into blanks. Six inches or less in diameter spindle or hollow form blanks don’t worry about it. Bowl blank may not remove during processing if going to turn imediately. If going to store for turning later remove the pith. Don’t sweat the petty stuff know these things exist and deal with them as they come along, just enjoy the journey! I just put up a vinyl shed to store the wood in. I don’t know the species of the logs. Freebies from friends. 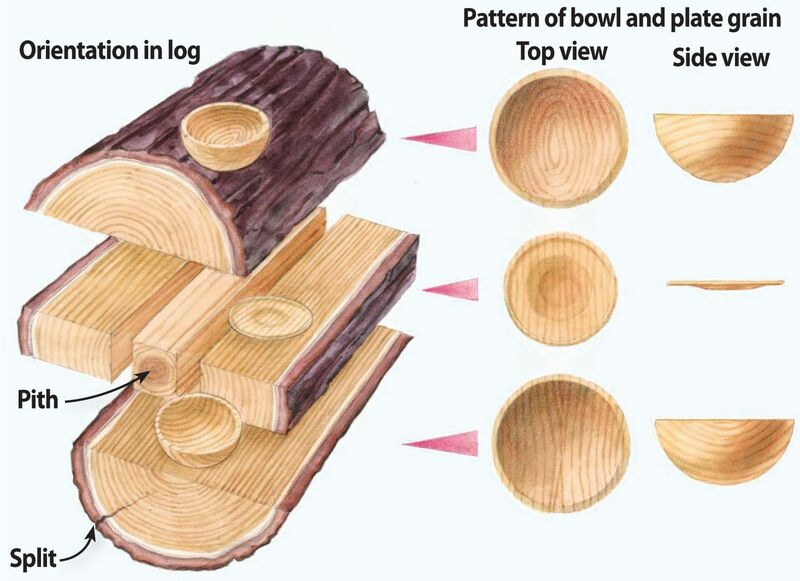 So, I guess you’re saying for my spindle kind of wood: leave log intact if small; cut in half and remove pith if big? No, always remove the pith. Vicki, your saw buck will work if careful, I would ruin it trying to cut slabs along the grain! My saw bucks look lot like what Doc Green shows in his article. Over the years have simplified my sawbucks. Cannot tell you how long ago processed these blanks been hanging out under my work bench for long time don’t remember when processed. Thnk can see wax end sealing scrapped off a little all have pith showing. When processing a lot of blanks have to make a judgement call. I really like that. I built one of the simple versions but found you need more than one for different size logs, a smaller size and a larger size. I like yours, Jerry. The benefit of mine is that it’s cheap pine and it folds up and stays outside. I am out of room in the shop.